We could spend a lot of time telling you that we’ll do an excellent job planning your trip of a lifetime… but we’ll let our satisfied travel clients tell you instead! Couples on theKnot love us! 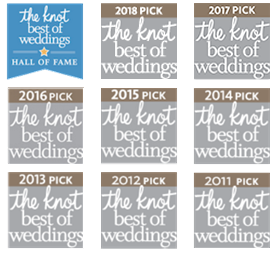 Thanks to reviews of happy newlyweds, we have earned the prestigious award of Best of Weddings Award every year since 2011 and received the Hall of Fame Award, which no other Travel Agency has earned! Thank you for your assistance in planning our honeymoon. It was a wonderful experience and both Amy and I had a great and memorable time. All of the workers at the hotel were extremely kind and helpful. The excursions were wonderful. Everything went off without a hitch. As for exceptional service, I would like to call out the ladies at the reception desk, especially Shaunte. When I lost my wedding ring on the zip line excursion, they tirelessly made phone calls and helped to organize the return of my ring. Shaunte also remembered Amy and I from check in, and called us by name all week long. Overall, we had a great time at Sandals on Antigua, and look forward to visiting other Sandals properties. Everything was fabulous! Everyone from the agency was a pleasure to work with. We absolutely loved our drivers and tour guides.Thank you so much for helping us organize such a wonderful honeymoon to Croatia. You made it so easy for us to sit back and enjoy our trip. Our honeymoon to Tahiti went very well overall. We did an island tour and a waterfall hike while we were there. Moorea was probably our most active island. Our 2-dive SCUBA was wonderful and tour guide made our first dives a memorable experience. Arriving in Bora Bora was a remarkable view. We had one of our best meals of our lives on the island of Bora Bora one night. Overall this was a great trip and I thank you again for setting this up. I just wanted to send you a quick email to thank you for everything you did to put together our wonderful honeymoon in Thailand. It was absolutely amazing – we had the time of our lives! Everything was planned out so well and we really didn’t have to worry about anything. We got off the plane in Bangkok and our tour guide was waiting to help us. The private tours around the city were fantastic and all of the activities were exactly what were had expected and wanted! Hopefully we will be able to make another big trip in the next few years and we will DEFINITELY be using your services again. You were all such a pleasure to work with and I would certainly recommend you to anyone looking for a travel agent. I wanted to reach out to you and thank you and your entire staff for helping us plan the most spectacular honeymoon to Tahiti, Moorea, and Bora Bora! Oh my, it was without a doubt the most amazing experience we have ever experienced in our lives, and we owe a standing ovation to your company for guiding us through all the options and choices in going to the South Pacific. Your recommendation of the Pearl Beach Resorts on each of the three islands we visited was perfect for our needs and budget. The food was outstanding, the people were friendly, and the accommodations were relaxing yet invigorating. We had a blast snorkeling, horseback riding through the mountains, dining at fabulous restaurants, taking long walks, and of course, swimming with sting rays and yellow fin sharks! In today’s fast-paced world, it was so reassuring to use a professional agency such as Lisa Hoppe Travel to help us navigate to the honeymoon destination that best fit our personal style, taste, and budget. Online travel agencies just don’t compare to the personalized service and first-hand knowledge we received through your staff’s personal travel stories and experiences of the world’s hottest destinations. Thank you again! Everything on our honeymoon to Maldives was fantastic! Service was exceptional. They even put fresh flowers on our bed every other day, in addition to the first day where they wrote “Happy Honeymoon” and made towel swans on the bed. No cars on the island, and the staff of the resort would drive you around on a golf cart. They were awesome. Our room was amazing. Simply amazing. And the water was beyond beautiful. We had an absolutely wonderful honeymoon to Moorea! There were no issues on our trip to be concerned of. One morning, we were sitting on our patio and we saw a whale jumping out of the water just beyond the reef. So happy we got this room. Overall, we cannot say enough good things about the staff at the Moorea Pearl and the island in general. Everyone was so nice and so genuine – they truly wanted us to have a nice, relaxing honeymoon. This includes the people on the excursions that we did – both of which were absolutely great. It was such a nice feeling to not have to think about those things.Thanks so much for arranging this honeymoon for us – it was truly the trip of a lifetime and we couldn’t be happier with how it turned out. The worst part was leaving… there’s no ocean when I look out the windows of my house! We had an amazing time at Sandals Grand Rivera. The best part by far were our butlers. They drove us everywhere and who made sure we were set for our tours spa treatments, and dinner. They were so professional, always escorting us to dinner and when we returned to our room they always left us a surprise on our bed. They even ran a bath with rose petals for me one day. We really appreciated the wonderful service that we received with Lisa Hoppe Travel. We will be using you for any further travels! We had an absolutely amazing time in St. Lucia on our honeymoon to Sandals Halcyon! The view from our room was just the most beautiful thing we’d ever seen, it was amazing waking up and falling asleep to the sounds of the ocean. We just cannot say enough wonderful things about the resort and staff! We’d also like to thank you and your staff for all of your help planning our honeymoon that we will never forget. It was so nice knowing that if we had any problems while we were down there that there was someone back home that could help us out. The time you took to go over all of the paperwork and information ahead of time was awesome and made our lives so much easier. We will definitely be contacting you when we start planning our next trip and will be recommending you to everyone we know looking to plan a vacation. I wanted to drop you a note and let you know that our honeymoon to Bora Bora was more than we could ever imagine! Romance, pampering, beautiful view, I could go on forever! The staff was amazing and the kitchen was very impressive! My wife and I both agreed that when we are ready to go on vacation again, we are going to give you a call.Thank you very much for such an unforgettable time! We had an absolutely fabulous time during our honeymoon to Jamaica at Sandals Ochi. I cannot express how much I appreciate your time and effort to make sure that we selected a resort that would fit both of our personalities. Many times during the honeymoon, Greg remarked how this was the best trip he’d ever had. The resort was wonderful, the food was excellent and our butlers truly went above and beyond to do everything in their power to make sure our trip was a success. I really want to say thank you for the upgrade to first class service on our trip down to Jamaica, that was a first for both of us! Looking forward to working with you and your team again. Our honeymoon to the Sandals Grande St. Lucian was everything we had anticipated and more. We really enjoyed our honeymoon swim-up lagoon pool room and felt completely relaxed and pampered our whole trip. The resort is beautiful and we had all of our needs met. We had an amazing time and your agency helped make all the planning smooth and easy. We will not hesitate to use your travel agency in the future and we plan on taking many more vacations! We had the best time on our honeymoon to Cabo. The resort was amazing, staff was unbelievable, it was a dream come true and everything went smooth. We had no issues or complaints. Thanks for all your help and consistency with our trip. This bitterly cold weather was no homecoming, but we are still dreaming of the sun and sand of Turks & Caicos. In all honesty it was a dream come true; the weather, the wedding, the people were just amazing! Thank you Lisa and staff for finding and helping us plan the wedding week of our dreams. You made the process fun and easy and I can’t thank you enough for all the help that you gave my family! My birthday trip was fantastic! The island is beautiful and the staff at Sandals Regency La Toc was wonderful! I felt like a princess the entire time. Thank you so much for all of your help. We’ll definitely reach out to you to help plan our next big adventure. Thank you again! Just a quick note of thanks for setting up this incredible adventure to Ireland. The highlights of this trip would fill an entire e-mail in itself, but of most significance to each of us were the people we met, the people we encountered and vistas we witnessed. From the Cliffs of Mohrer to The Ring of Kerry, From the Irish Sea to Galway Bay, every turn brought about another awe-inspiring view. Special kudos to our tour guide, Declan Ryan. What a treat it was to have HIM share his country with us for 7 days. Slainte! I just wanted to send a message to Lisa and staff thanking you all for yet another wonderful vacation! I could write a novel about how amazing this trip was. It felt like we were on three different vacations- Cape Town, Kruger National Park and Victoria Falls are all amazing, unique and breathtaking places. I think everybody should make this trip happen in their lifetime! Everything went so smoothly in regards to flights and transfers, and all our hotels and guides were great. Safaris in Kruger was an experience we never thought we would fall in love with so much. We had a wonderful vacation in Ireland and England with awesome weather. The Davenport Hotel and Dromoland Castle Hotel were both wonderful, and thanks to you, they upgraded our rooms because it was our anniversary. The Westbury Hotel was very nice too, as also were the B&Bs. Transportation from Heathrow to London was great; the driver was waiting for us with our name on a cardboard. Tours of London and Bath were interesting…we would not have seen those things on our own! Thank you for all of your meticulous planning, it made our trip memorable! I am happy to report that our Paris trip was excellent. The hotel location was perfect and the hotel staff were nothing but welcoming and very polite. Given the Air France pilot strike I was glad to see that my trip was booked on Delta airlines so we had no troubles in our return. A+ job as usual by your team and I will be in touch soon as I look forward to our Jamaica trip next year. Thanks again for such excellent customer service – we really really appreciate it! Everything on our trip to China went great: all went smoothly, and all the flights were on time. Thank you for all your help with the planning of the trip and helping it go so smoothly. Our biggest thing is jet lag now! I always recommend people for travel over to Hoppe, I believe we have had 3-4 friends plan vacations/honeymoons/weddings through you so far! I wanted to write you while the thrill of the week is still a memory…I want to thank you for recommending Sandals Whitehouse, it has been one of the most enjoyable weeks I’ve ever had on vacation. For starters this resort is heaven, beautiful breathtaking views of the ocean and well groomed lush grounds.The food/drinks and our room accommodations were fantastic! Could not have asked for more. The employees were so gracious, you can tell that they love their job. The “no problem” attitude starts to rub off, I wish I could bottle it! We all were impressed at every level. I know I’ve had a great time when I get on the bus to go home and cry because it is over and because I have been touched by some great people and memories. Looking forward booking something for next year. We knew that it was a fantastic trip to Ecuador and the Galapagos Islands because it was over too soon. We were very pleased with all of our guides, especially Rachel in Quito. She went out of her way to make sure all of our needs were met. We would recommend this destination to anyone! It is a very special place to visit and enjoy. We would highly recommend your company to anyone traveling to French Polynesia and would use you again if we had another chance to go! Thank you for all of your help for our family trip to Moorea and Bora Bora. We had a great time! Our favorite island was probably Maui, but we liked them all! We kept VERY busy. Our favorite activities were: snorkeling in Molokini Crater, the zipline tour, and hiking almost 8 miles in 5 hours on the Kalalau Trail to Hanakapi’ai Falls in Kaua’i. The hotels were great, the car rentals were great. It was really nice having a car on all of the islands, as we were on our own schedule and could always get to where we wanted to go. Thanks again for all of your time and your help planning our anniversary trip. Ireland was a great trip and we had a great time enjoying the sights, learning the history, meeting the people, eating and drinking (Jameson and Guinness). Our whole group had a wonderful stay in Ireland.The trip gave us an insight to this wonderful country. Thanks for helping us set it up! Lisa, it was great – we had the best vacation by far! Ready to move to New Zealand…all I know is I would like to retire in Wanaka! 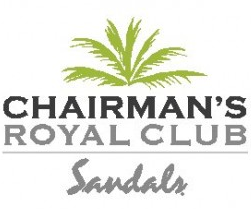 We had a wonderful vacation at Sandals Royal Bahamian last week. Thank you for all of your assistance in arranging this trip. We will be delighted to recommend your services to family and friends in the future.